Looking to give a gift to the crystal lover in your life this Valentines day? We’ve crafted two unique boxes that emanate rays of pure love and strengthens the connection between both the giver and receiver. 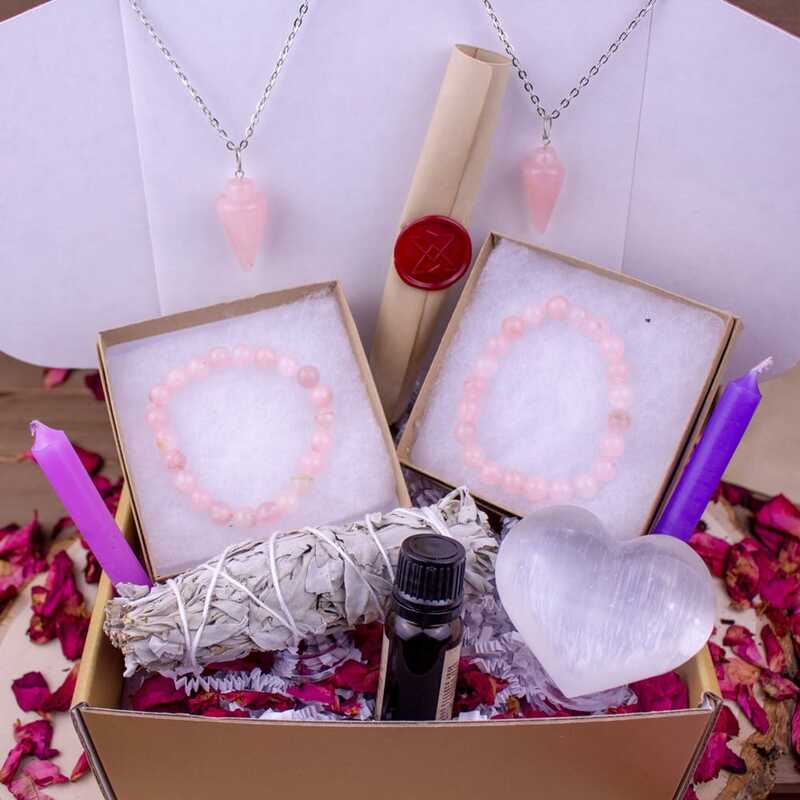 Both boxes are centered around Rose Quartz, one of the strongest stones for the Heart Chakra in the mineral kingdom. Rose Quartz is the stone of Venus, goddess of love and all things beauty. The loving qualities that Rose Quartz radiates are sure to keep any lover, friend, or partner closest to you and connected for life. Note: To ensure delivery before Valentines Day, place your order before the 10th of February. Strengthen your connection with the one closest to you. 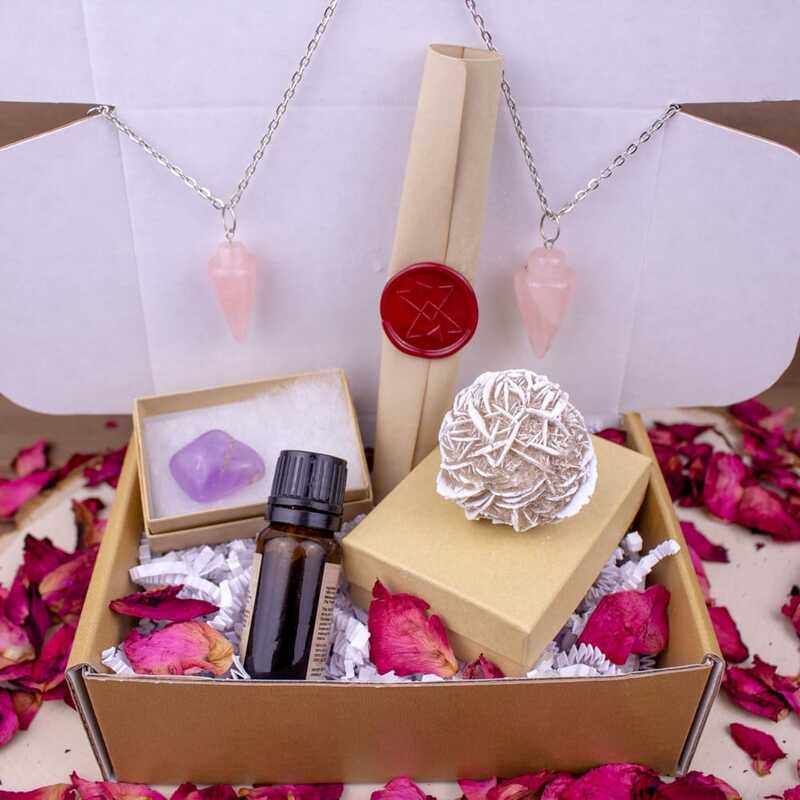 Our Love Box creates an unbreakable link between you and the receiver, opening the heart to new levels of compassion and love. We’ve included twin pendants and bracelets as a daily reminder of the connection you two share. Note: Please specify your bracelet size (6, 7 or 8 inch) in the comment section of checkout. Is there a special person in your life? Wether it be a partner, friend, or family member, this box is sure to strengthen the connection between the two of you. The Twin Flame Box was crafted with the idea of assisting you and the receiver in opening the heart and accepting love on all levels. We’ve included twin pendants as a daily reminder of the connection you two share.